Have an event you want added to the Horseman’s News calendar? Email: ads@horsemansnews.com with the details! Glen Avon Comancheros CGA Dist. #15 Gymkhana. Horseman’s Center Park. Gymkhana Event is under a covered arena at 6:30pm rain or shine. ETI Corral 101/Route 101 Show Circuit. Hansen Dam Equestrian Center. Burbank Showcase Horse Show. IALHA Region 1 Championships, IFSHA Region 10 Championships, Gypsy Horses, American Saddlebreds & Peruvian Pasos. All Breed Opportunity Classes & more. Land of Enchantment Circuit. Approved by AQHA, NMQHA & SWQHA. 5 AQHA Judges. 98th Annual Flintridge Horse Show. Flintridge Riding Club. 26th Annual Spring Stampede English/ Western Horse Show. Diamond Jubilee Show. Double Judged. Horseman’s Center Park. Paint Horse Quarter Horse Show. Murieta Equestrian Center. Mothers Day Circuit. San Luis Obispo County Quarter Horse Association. Saddle & Harness May All Breed Show. George Ingalls Equestrian Center. Sun & Surf Circuit. 6 AQHA Shows, NSBA Futurities, NSBA dual approved. CSHA Region IV Open English & Western Show. PAC approved. Mar-Val Stables. WE United “B” Working Equitation Show. Pepperglen Farm. PepperGlen Farm English Dressage Show. Saddle Series Hunter Jumper Show. Willowbrook Riding Club. Western Dressage Schooling Show Series. Held at the Hacienda Del Valle. 73rd Annual Del Mar National. Del Mar Fairgrounds. PepperGlen Farm Western Dressage Show. ReBalance Your Seat! Interactive Clinics. Call for Location & Dates. 1ST SATURDAY OF EVERY MONTH-SUNLAND/TUJUNGA. Free Horsemanship Clinic! Weston Transformation Workshop. Call to reserve your spot. Equestrian Photography Clinics. Learn from a Nationally known, award-winning photographer. Hands on, bring your camera for a fun, exciting one-day session. $165. Buster & Sheryl McLaury Horsemanship Clinic. In Hand Progressive Trail Work Shop. 1pm-4pm. Cost $15. Rancho Rio Equestrian Center. Buck Brannaman Clinic. Santa Ynez Valley Equestrian Center. Spring Resolution- Learning from Nature How to Thrive. 9am to 4pm. Equine Experience. Cow Working FLAG Clinic with Chris Ellsworth. Tim Smith Cutting Clinic. Cottonwood Creek Eq. Center. Horsemanship & Heart Series- Leading with Integrity. Jordan Larson Reining Clinic. Cottonwood Creek Eq. Center. Craig Cameron Horsemanship Clinic Cottonwood Creek Eq. Center. Nick Dowers Horsemanship & Reining Clinic. Team Sorting starts at 6:30pm. Mara Brandman Arena. Cattle Sorting. Anaheim Hills Saddle Club. Start time 1pm. Team Roping Practice. From 6pm-8pm. 2 Jackpot’s starting at 8 p.m.
Every Fri. Night 7:00 pm. Ranch Sorting Practice in Surprise. Ranch Sorting. Every Friday Night at 7pm. San Pasqual Valley Ranch. Southern Kern Roping and Riding Club team penning/sorting every Saturday! and Cutting Practice at 11. CowHorse Ranch. Team Penning. Every Wednesday Night at 7pm. San Pasqual Valley Ranch. Team Roping. Every Tuesday Night at 6:30pm. San Pasqual Valley Ranch. Holland Cattle Co. Team Roping. ACTRA Roping. Every Wednesday night. 7pm. Wednesday Night Roping Practice, Lighted Arena. Diamond Bar Arena. Every Thursday night. Penning Sorting Practice. Montague Rodeo grounds. MBHA Team Sorting. Morongo Basin Horsemen’s Assn. Every 2nd Saturday of the month. Every Thursday night at 6:30pm, $5 Jackpot at 7:30. 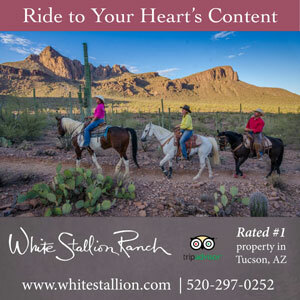 $30 unlimited runs per horse. Redwood Empire Cutting Horse Assoc. NCHA & PCCHA approved. El Rancho Spring Classic. Rancho Murieta Eq. Center Complex. Gilkerson Memorial Spectacular. Arizona Reined Cow Horse Association. PCCHA Lucas Oil/Protect The Harvest Gathering. Brookside Rein for the Roses. Brookside Show Park. California Cow Horse Assoc Show #3. Benefitting United Cerebral Palsy. Central Oregon Cutting Horse Assoc. Show #3. Norton’s Arena. SCRCHA Jimmy Flores Sr. Memorial. Green Acres Ranch. SCRHA Saddle Series #2. Hunter Equestrian Center. Central Coast Ranch Horse Classic. Carmel Valley Saddle Club. California Cow Horse Assoc Spring Spectacular Derby and Horse Show #4 and #5. Time only Barrel Racing. Starts at 7pm $5 per ride. Every Thursday Night at 7pm. San Pasqual Valley Ranch. Thursday Night Saddle Series, WCBRA, ACBRA, TSBRA, DBBRA Co-Sanctioned. Riverside County Barrel Racers Point #4. Green Acres Ranch. Wonder Valley Series #6. Wonder Valley Ranch Resort. 4D Turn N Burn. California Ranch Rodeo Association. Spring Run Classic.5D 2 Day Open Barrel Race, $5,000 added. 4D Turn N Burn. California Ranch Rodeo Association. PRE-Gymkhana Barrel Race. Unity Farms. Pacific Coast Barrel Racing Association Race. All 4 Christ. Rancho Rio Stables Arena. $500 Added Barrel Race. Classic Barrel Racing. Wonder Valley Series Race #7. Wonder Valley Ranch Resort. Just Breathe & Run Benefit Barrel Race. Classic Barrel Racing. 3rd Annual DWPH Fiesta Futurity, Derby, 5D Open. Camp Lockett Round Up 5D Barrel Race. Camp Lockett Equestrian Facility. Riverside County Barrel Racers Bonus Race. Hump Day Race. DBBRA, WCBRA. Friday Night Lights Barrel Race. Double S Horse Ranch. Breeze E Wellness Race. Breeze E Ranch. Wonder Valley Series Finals. Wonder Valley Ranch Resort. NBHA CA12 Race. Monterey County Sheriff Posse. PRE- Gymkhana Barrel Race. Unity Farms. Friday Night Summer Sizzlers. WCBRA, TSBRA, NSBRA. California Christian Barrel Racers. Wonder Valley Ranch Resort. Robertsons Revival Race #3. DBBRA. Rockin Jr Ranch over $4,000 added. WCBRA, WPRA. All 4 Christ Race. WCBRA, TRIPLE 7 DBBRA & ACBRA. Memorial Weekend Barrel Race. Classic Barrel Racing. Cowboy Mounted Shooting Open Competition. 9am, Sandy Valley Ranch. Vintage Arabian Horse Association meets at Ranchotel. Yucaipa Rodeo. Yucaipa Equestrian Center. Western States Horse Expo. Rancho Murieta Equestrian Center. Back County Horsemen of Ca Reshank Trail Riders meeting. Lancaster Horse Auction. Tack Sale Starts 3pm and Horses Start at 7pm. 1ST SAT. OF EVERY MONTH-YELM, WA. new & used saddles & tack of all kinds. Sale starts at 5pm. Farmers Livestock Market Sales Certified Organic Livestock. Escalon Livestock Market Sales. 25525 Lonetree Road Escalon. Western Premier Horse Sale. Preview 5pm, sale 7pm. Lincoln Horse Auction. B Bar Ranch and Arena. Cattleman’s Livestock Market Sales. 12495 East Stockton Blvd. Galt. Spring Spectacular Catalog Horse Sale. Farmers & Ranchers Livestock Commission Company. 36th Annual WYO Quarter Horse Arena, Ranch Broke Gelding & Production Sale.